The T.S.S. (Time Space Sound) Luminaire is inspired by fantasy, time travel and the anthology of an idea. The story begins with an epic daydream of an imaginary meeting between the great minds of Oscar Niemeyer and Olafur Eliasson. A time-space condition has allowed the two creators to meet and discuss the perception-altering qualities of form and color and its impact on the human experience. The dream fades out of subconsciousness and into my conscious reflection and desire to collect the moments leading to this discovery. 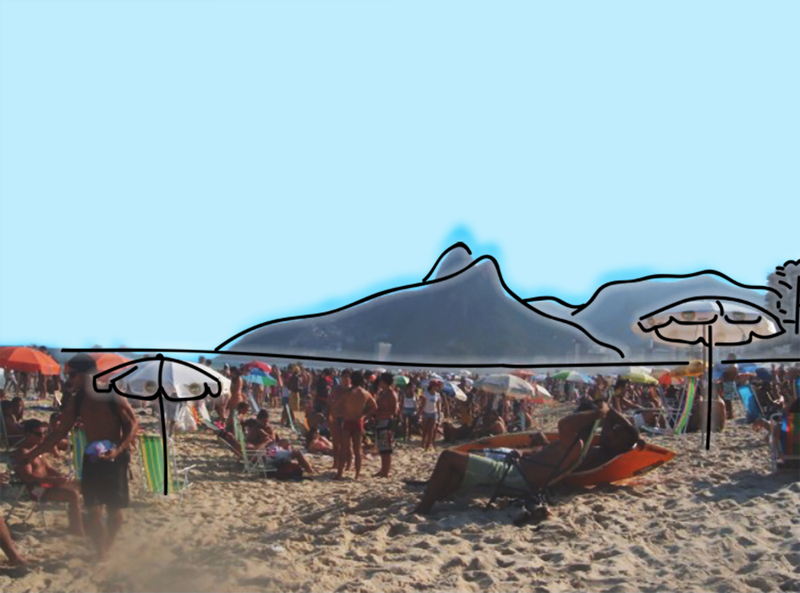 From my personal experience of living in Rio de Janeiro to my childhood drawings, I’ve documented each of these memories in a series of single line illustrations made by LA-based illustrator Will James. The T.S.S. prototype is made of CNC-milled acrylic and mouth-blown milk glass and was manufactured in Los Angeles, California.